Weddings are a major life event that requires meticulous planning to ensure that everything goes without a hitch (no pun intended). Wedding planning can also be a period of high tensions and difficult decisions in order to ensure that the guests are all happy and the setting is perfect on that special day. 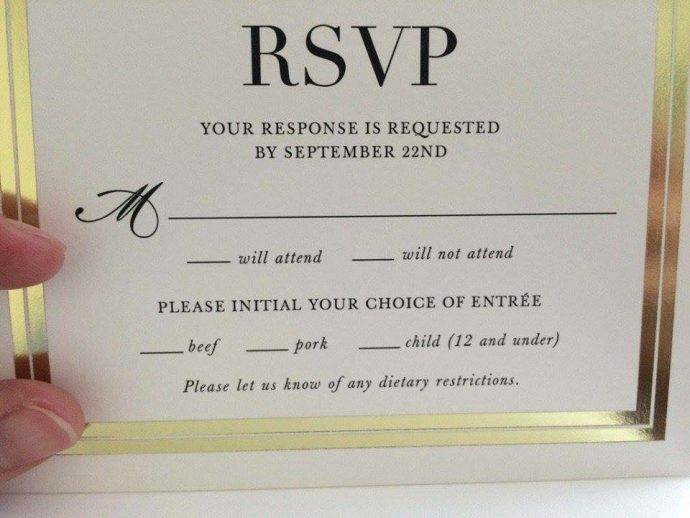 This wedding RSVP card offers a unique variety of entree options sure to delight even the pickiest of eaters. I’ll have the 10 year old please, medium rare, with ketchup.